Many will know that burial in ancient times – such as the times of the Pharaoh’s, were accompanied by various needs the deceased would require for progress in the next world; clothing, food, utensils, all these (and more) were buried with the great. 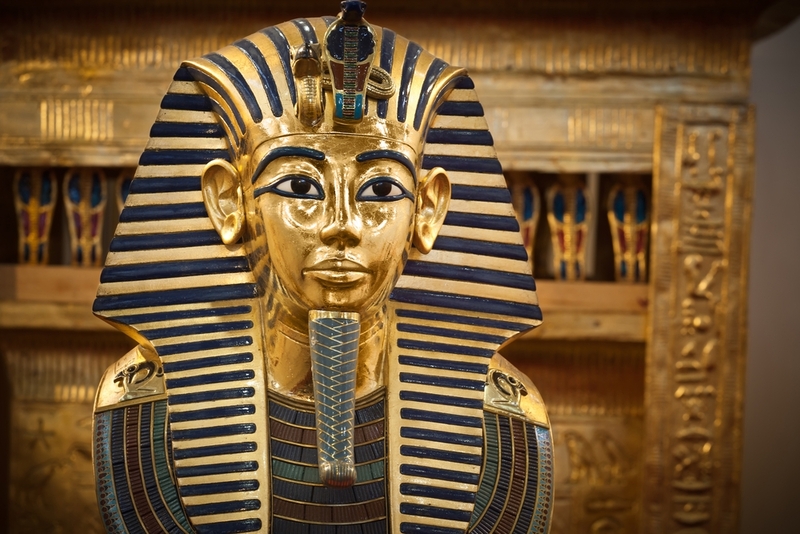 Here, this article examines the dagger buried with King Tut. The material in the dagger appears to come from a non-earthly origin. Often scientific papers have rather plain, jargon-heavy titles, but every now and then, one appears and proves to be a glorious exception to this. 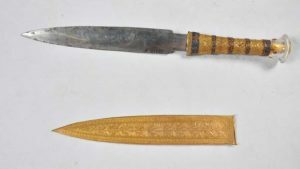 Step forward, the latest study in the journal Meteoritics & Planetary Science, which now features a paper entitled “The meteoritic origin of Tutankhamun’s iron dagger blade.” That’s right: King Tut had a space dagger. The boy pharaoh, who ruled Ancient Egypt between the years 1332 and 1323 BCE, was hidden away in his tomb until its excavation in 1922, along with this highly ornamental blade. 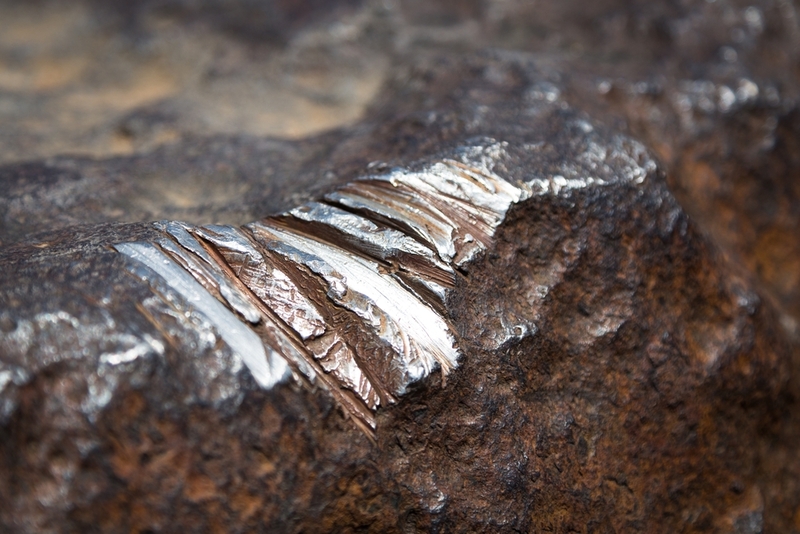 A team of Italian and Egyptian researchers’ cutting-edge X-ray analysis reveals that it is mostly composed of iron, along with smaller amounts of nickel and cobalt. This unique elemental composition indicates that it was built using material from one of the oldest objects in the Solar System: an iron meteorite. A replica of the funerary mask of the boy king. “The introduction of the new composite term suggests that the ancient Egyptians… were aware that these rare chunks of iron fell from the sky already in the 13th century BCE, anticipating Western culture by more than two millennia,” the researchers, led by Daniela Comelli, an associate professor at the department of Physics of Milan Polytechnic, write in their study. The technique used to analyze the blade is known as X-ray fluorescence spectroscopy, which energetically excites the various compounds within the target. The radiation re-emitted by the target varies in wavelengths depending on which elements are present, which allows researchers to identify its elemental composition without damaging it in any way. After subjecting the blade to its own X-ray analysis, it was clear that the dagger’s composition was clearly that of an iron meteorite. Knowing that the dagger had to have been forged from a meteorite that fell within the realms of the empire, they looked back through historical records of meteorite impact sites within a radius of about 2,000 kilometers (1,243 miles). After finding records of 20 iron meteorites, they used the precise composition of the dagger to narrow it down to just one: the Kharga meteorite, one found in the year 2000 on a limestone plateau in Mersa Matruh, a seaport west of the city of Alexandria. A close-up of the Hoba meteorite, a massive iron meteorite in Namibia. The ancient Egyptians must have seen it fall from the sky and break into multiple pieces, before trekking for hundreds of kilometers to retrieve one of the heavenly shards. Now, almost 3,500 years later, science has managed to trace the dagger’s path back up into the great, dark starry ocean above us. The scientific method has many purposes, including the practical, but its ability to tell stories – including the one of the boy pharaoh’s space dagger – is second to none, and that is why it should always be championed above almost everything else.